I have to say, there is no knitting like vacation knitting. Last weekend the significant other and I fled the city in search of a hill or two for some much needed R&R. 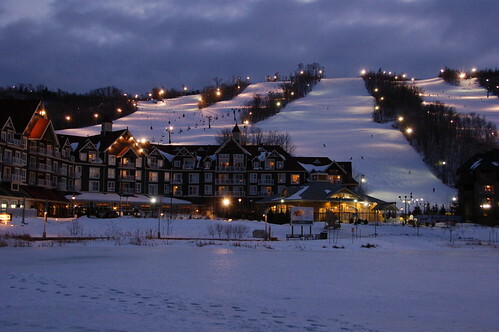 Being a girl who grew up in Québec amongst some of the finest ski conditions in Eastern-ish Canada, I wasn't expecting much from the Torontonian take on a classic ski resort. It was cliché, it was overpriced, it was gorgeous, and we had a blast. As a preamble to this little detour on the way to a knitting update, it's been about 6 years since my snowboard has touched snow. Scary, I know. Turns out that aside from having to overcome the fear of serious injury that has finally managed to permeate my older and wiser brain since my teenage years, a few runs and it's all old hat again. This picture makes me look way more in control than I felt at the time. While nursing the inevitable delayed onset muscle soreness I managed to make notable progress on my Central Park Hoodie sleeves. Although this is a never-before-posted picture of the first sleeve I finished knitting at the beginning of March, it looks very much like the second sleeve that is now more than halfway through so let's pretend it's that. 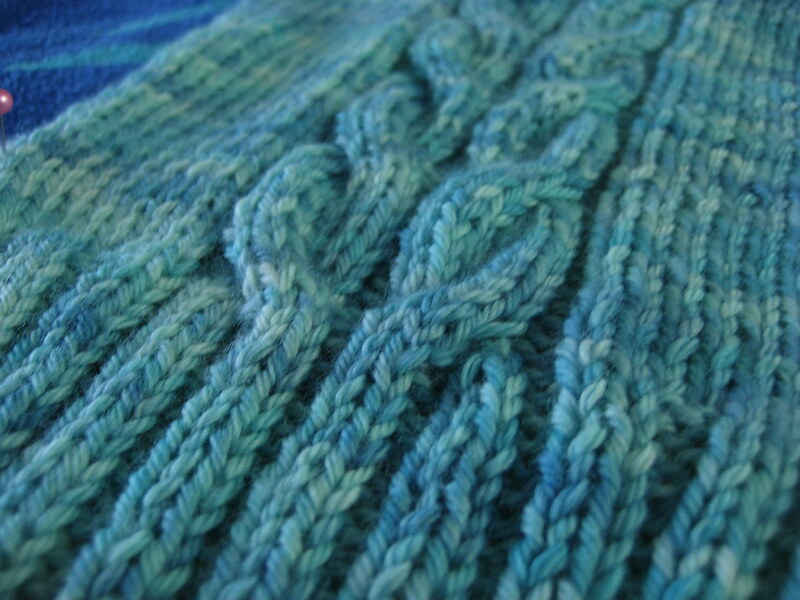 I have some serious love for the Oceanwind Knits yarn I'm using for this sweater. The cables are really showing up nicely. I also managed to finish the first of the ice cream socks from December days past. Sadly, there are also no up-to-date photos of those just yet something to be rectified shortly. I know, I know. Bad knitter! Why all the dated/missing photos you ask? Well when not knitting, or careening down a vertical incline, I spent much of my time doing this. Posted by Amanda at 12:54 a.m.
Oooh! Looks like you guys had a blast! Nice decision, to take a vacation. 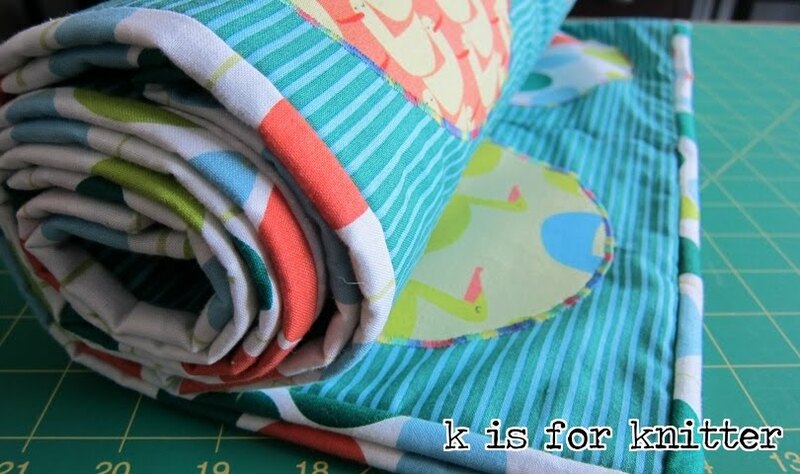 I'm waiting for summer for mine, though I do have some nice ideas in the planning stages. 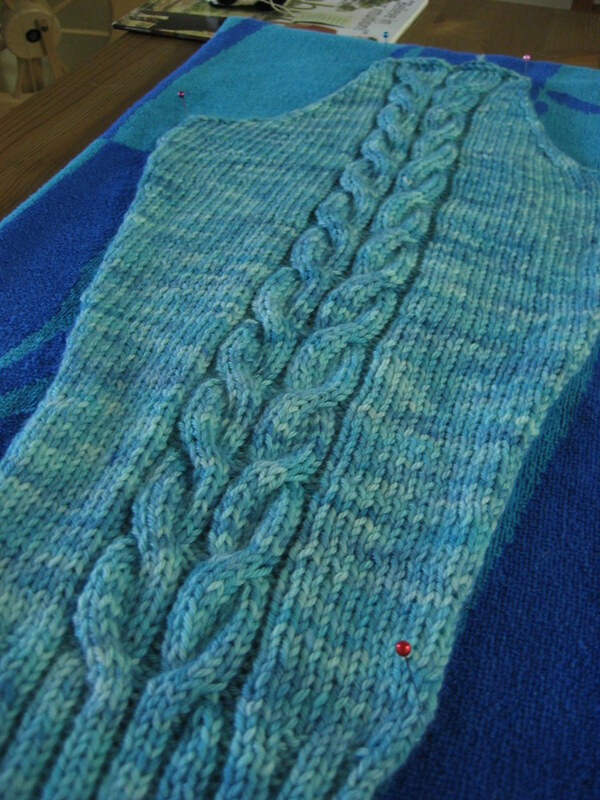 The sleeve looks great, and I love the yarn too! Yummy. Love the color. March 19, 2008 at 3:20 p.m.
March 21, 2008 at 12:13 p.m.